A Documentary featuring many Popular Horror Filmmakers and their movies including: Wound, Tonight You Die, House of Good & Evil, Drive-In Horror Show, A Dark Place, The Jezebeth Film Franchise and Also Massimiliano Cerchi’s ‘The House of Evil’. 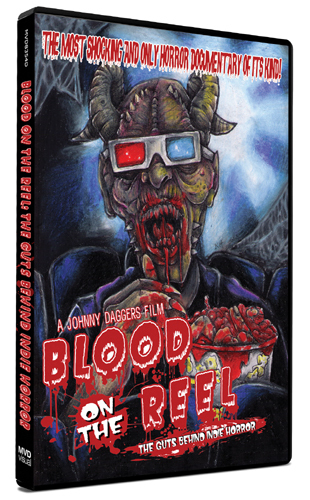 Blood On The Reel: The Guts Behind Indie Horror Filmmaking. An exquisite gathering of horror masters, pulled together by a collective love for all things SYNister. I loved it from beginning to end and found myself wanting more! This film is a passionate and educational eye-opener of Indie filmmaking!